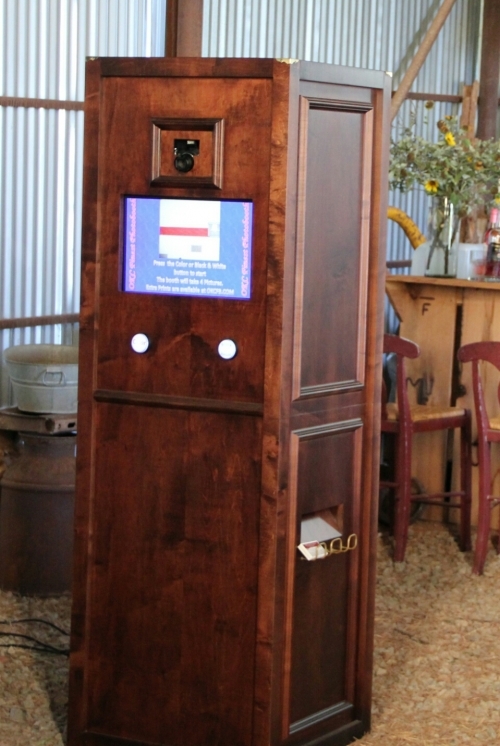 At The Petite Booth Co. we can help enhance any kind of special occasion with our unique open air photo booths. Whether you are planning a wedding ceremony in an intimate setting or a corporate function in the city, we can help add some extra fun to the celebrations. With our unique open air booths, your guests can take amazing pictures of themselves to remember the happy occasion for years to come. We know that every occasion requires something a little bit different. For this reason, our open air booths can be tailored to do everything from simply entertain your guests to promote brand awareness. Our photo booth rental can even include a green screen to liven up each image or raise corporate awareness. Your rental includes a a choice of photo booth back drops and a large range of props. Our photo booths use top of the range equipment and prints out 2x6 prints immediately after your shots have been taken, with the option of a 2nd set of prints should you want a guestbook for your event. Our team is waiting to speak to you about how we can add something extra special to your next big event. Leave your review of The Petite Booth Co.